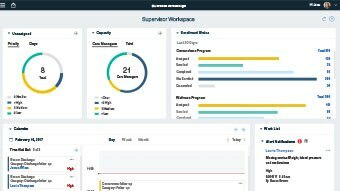 IBM Watson® Care Manager helps organizations unlock and integrate the full breadth of information from multiple systems and care providers, automate care management workflows, and scale to meet the demands of growing populations under management. 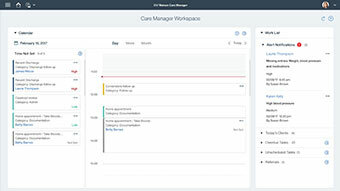 Watson Care Manager is built on an innovative HIPAA-enabled, cloud-based platform that can aggregate data and connect stakeholders, helping to support coordination and delivery of services. 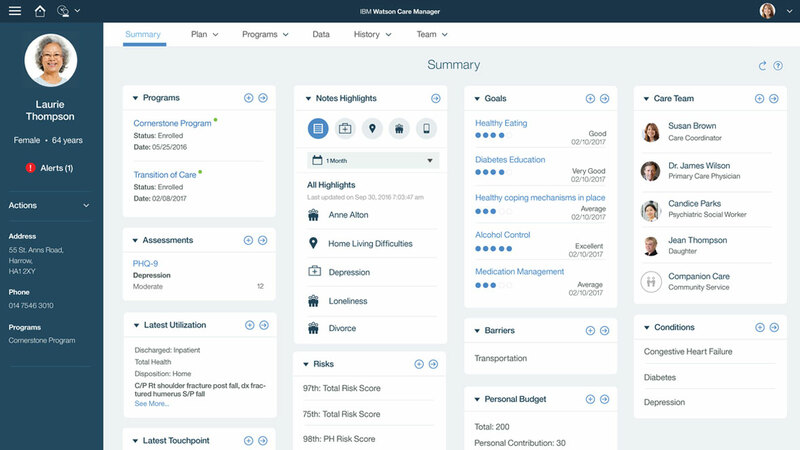 Use Watson Care Manager to create individualized care plans that manage the whole person. Easily grow to keep up with increasing populations under your management. Unlock the potential of structured and unstructured data with cognitive insights. 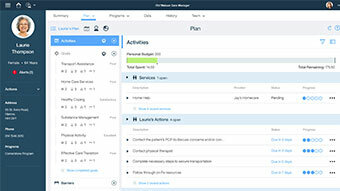 Increase efficiency with Watson Care Manager’s automated workflows. Collaborate with care teams, create individualized care plans, centralize data and automate workflows, all within a HIPAA-enabled cloud. Collaborate with care teams, create individualized care plans, centralize data, automate workflows, and create reports, all within a HIPAA-enabled cloud. This add-on provides the ability for individuals to interact with their care plan. This add-on provides the ability to collaborate with the community service providers. This add-on provides community service providers the ability to update their profiles and log in to respond to service requests.